The Trail, in partnership with the Book Exchange, is excited to unveil the next installment of our Book Club series! 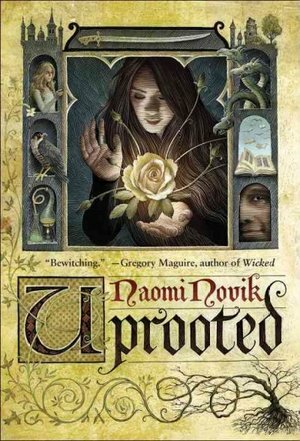 This fantasy page-turner, which won the Nebula Award, tells the story of Agnieszka as she comes to terms with the potential loss of her dearest friend in the world to the cold, driven wizard known only as the Dragon. Except when her magical abilities are revealed, that’s not what happens at all. Novik is the celebrated author of the Temeraire fantasy series, but this novel is a standalone. Pick up your paperback copy of “Uprooted” on discount all this month at the Book Exchange. And don’t forget to log on to their Facebook page for more information and a discussion with other club members! The Book Exchange, voted Missoula’s best used or new bookstore for 22 straight years. In the Tremper’s Shopping Center across from the fairgrounds. Have a suggestion for the Trail Book Club? Fill out the form HERE!